Download a PDF of our trail map. 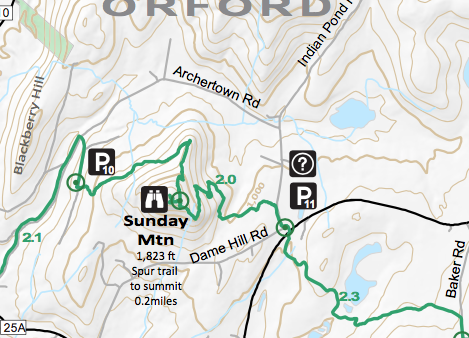 The front of the map contains trail sections from Fairlee and Orford. The back of the map contains trail sections from Vershire to Fairlee. Connect to caltopo.com to view and/or print high resolution custom topographic maps. Good news! 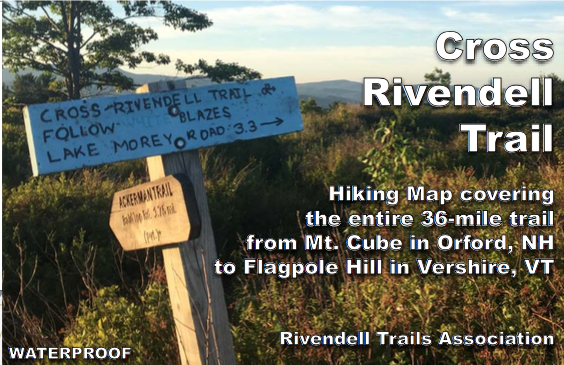 Cross Rivendell Trail water resistant pocket trail maps are back in print! Currently, you can find them at Chapman's Store and the Lunch Box in Fairlee, Crossroads Farmstand in Post Mills, and the Montshire Museum and Norwich Bookstore in Norwich. We're working on distributing them now, so look for them in other local shops soon!